Add comfort to your dining room with this practical and transitionally styled dining table from CorLiving. Constructed of hardwood and wood composites, the DRG-595-T is packaged in one convenient box and assembles in minutes. Featured in a Rich Cappuccino finish accenting any decor setting while offering great value. Accommodates up to four people. Designed to maximize space in apartments, this extendable dining table features two leaves that slide out, expanding your serving space in seconds. The rich wood grain table top is contrasted by the cream base and tailored legs, making this dining table perfect for those looking to create a beautiful dining space. This dining table features a butterfly leaf insert that lets you easily add more serving space in a pinch. Extending from 41.5 inches to 53.5 inches in length, this classically styled dining table is the easiest solution for those looking for versatility. This dining table's small footprint makes it ideal for those with a smaller dining space. This dining table features a butterfly leaf insert that lets you easily add more serving space in a pinch. Extending from 41.5 inches to 53.5 inches in length, this classically styled dining table is the easiest solution for those looking for versatility. 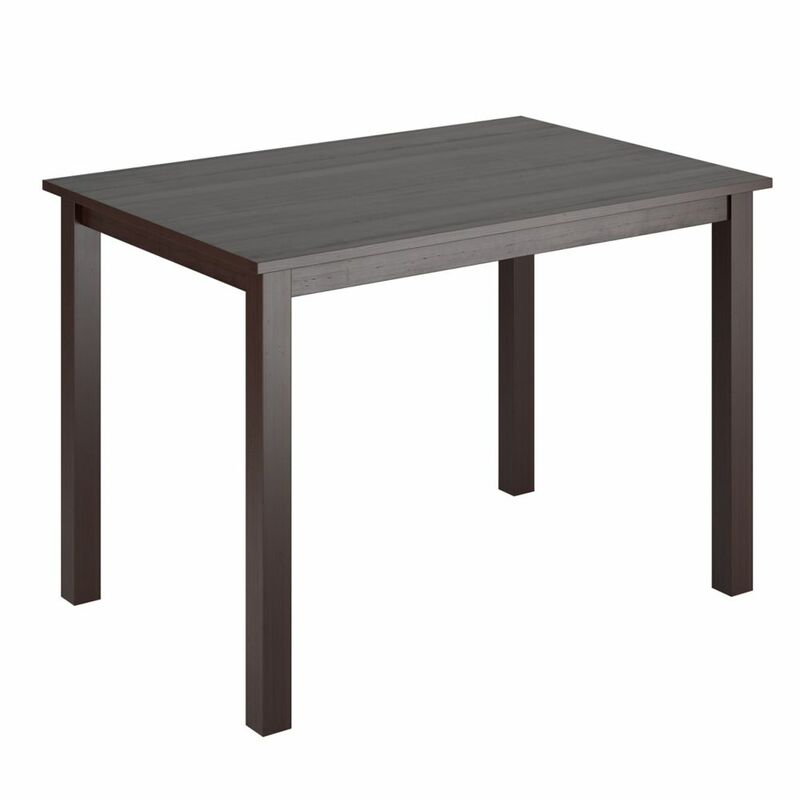 This dining table's small footprint makes it ideal for those with smaller dining spaces. DRG-595-T Atwood 43" Wide Cappuccino Stained Dining Table Add comfort to your dining room with this practical and transitionally styled dining table from CorLiving. Constructed of hardwood and wood composites, the DRG-595-T is packaged in one convenient box and assembles in minutes. Featured in a Rich Cappuccino finish accenting any decor setting while offering great value. Accommodates up to four people.